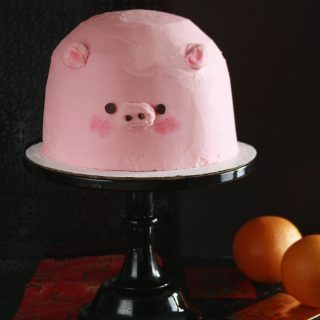 I’m Victoria and Welcome to Layer Cake Parade! Layer Cake Parade is my brand derived from the notion that baking itself is a procession. Taking a recipe from the past and baking it in the present day parades the cake down a timeline. I may not be able to travel, but baking these cakes transports me to places I’ve never visited. Memories are created or even reignited. Food as artifacts act as placeholders for history, memories, and environments. My approach is taking both vintage and modern recipes and making them more them yummy or delicious from a food science trial-and-error perspective. The internet is overloaded with blogs professing the ‘best’ ‘yummy’ ‘tasty’ and scrumptious’ desserts. Taste is so subjective. I want to take a more specific approach defining the textures and flavors that make cake so delicious. It is easy to say something tastes good, it is harder to explain HOW and WHY it is good. I never thought I’d be on the internet making this blog, going through the wringers of social media platforms, and connecting, connecting, connecting. Let alone starting up a new website. This is the best way to present my love of recipe development, recipe writing, photography, and of course baking. Did I see myself doing this? Shortly put no. I grew up dancing classical ballet. After graduating high school, I trained as a ballet dancer in classical Vaganovan ballet. The proceeding years I went into academia studying Cold War Studies, Japanese language, journalism, and creative writing. I ended up earning a Bachelors of Science degree in Food Studies at New York University. I focused my studies in food styling, recipe writing, food science, food writing, and of course training in a culinary kitchen. My style is colorful yet classic. 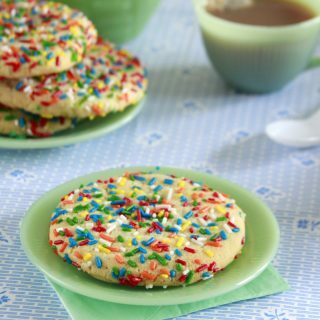 You’ll have to pry the food coloring and sprinkles from my grubby hands. 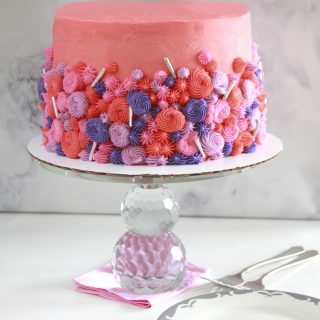 I love making cakes that are over-the-top intense as well as simply homey with rustic swirls of butter cream. Not to be cheesy, but a Betty Crocker cookbook, the lady—though a fictional spokeswoman—makes a valid point about cake. Cake is so central, it is a colossal centerpiece in celebrations, daily interactions, and reaffirms relationships and tradition. I am very pro-frosting (yes that is my political stance), and I seldom make a naked cake, I just need the frosting! After my first pass of food blogging in 2015, I knew I wanted to focus more on cakes and look at both heritage and modern recipes. I love to fuse the gap between tradition and tradition making. I want to take a long baked recipe and revise it to modern day palates of this flavor filled food world. 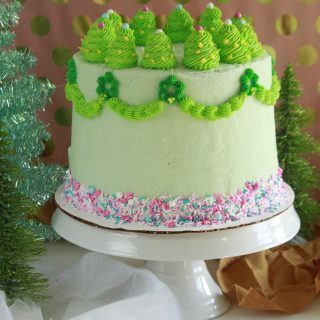 I hope you enjoy the recipes and cake projects I post here.